Ear infections in children most commonly involve the middle ear, also called otitis media, and typically occur when a cold, throat infection or allergies cause fluid to become trapped in the middle ear. Ear infections are often painful because of inflammation and the buildup of pressure of fluids. Otitis media affects young children more often than adults and can be acute or chronic. Typically acute ear infections clear up on their own or after a course of antibiotics. Chronic ear infections are more serious, and long-term problems related to ear infections can cause hearing issues and other complications. The eustachian tube is the natural pressure relief valve of the middle ear. Dysfunction of this tube can cause a build up of pressure and/or fluid in the middle ear. This can result in chronic ear infections and hearing loss, as well as problems with balance and speech development. Ear tubes may be necessary if this condition does not respond to medical therapy. When discussing otitis media, it is important to understand the anatomy of the middle ear. The ear is divided into three parts: the outer, the middle and the inner ear. Even though infections of the outer ear or auditory canal (often referred to as swimmer’s ear) do occur in children, the middle ear (typmanic cavity) is the location where most ear infections begin. The middle ear, also known as the tympanic cavity, is an air-filled space located in the bone of the skull. The middle ear is covered by a thin membrane know as the eardrum (tympanic membrane). Mucus membrane similar to that of the nose and mouth also lines the middle ear. 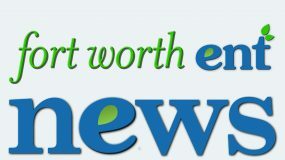 A narrow passage called the eustachian tube (auditory tube) connects the middle ear to the back of the throat and nose. 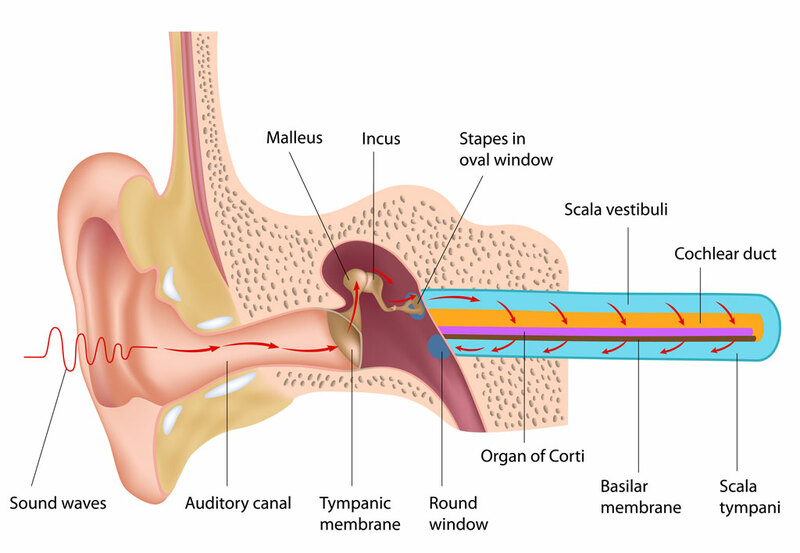 The eustachian tube functions to control the airflow and pressure inside the middle ear. It lies closed and opens with the swallowing movement allowing air to enter the middle ear. This mechanism maintains a constant pressure gradient and replaces the oxygen that has been absorbed by the lining of the middle ear. Sometimes the pressure is not equalized with the environment outside. This can be felt on an airplane or at high altitudes and may cause some discomfort. The tympanic cavity also plays an important role in hearing. 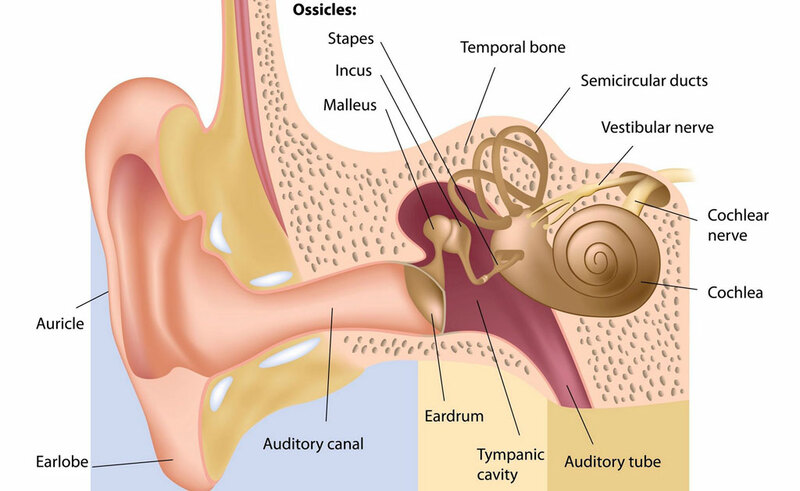 Three small bones called ossicles are found in the middle ear. These bones form a chain and conduct sound vibrations from the eardrum to the fluid-filled inner ear. Sounds are then converted into nerve impulses and carried to the brain by the auditory nerve. Extending from the air space of the middle ear is the mastoid bone. It is made of small, connected air spaces and resembles a honeycomb. The structures that are responsible for facial expressions and balance are found in this part of the inner ear. While the exact function of this bone is not clear, it is known to be involved in chronic ear infections. 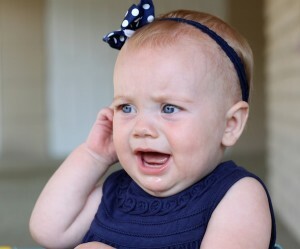 There are several types of otitis media that affect young children. Serous Otitis Media (SOM): Serous otitis occurs when fluid is trapped in the middle ear, but there is not an infection. The fluid in this case is watery and clear. This type of otitis media usually resolves itself, but sometimes children suffering from serous otitis can benefit from surgically placed ear tubes. Acute Otitis Media (AOM): The term ear infection is most commonly used to describe acute otitis media (AOM). With AOM, fluid trapped in the middle ear becomes infected, often causing children pain and discomfort. 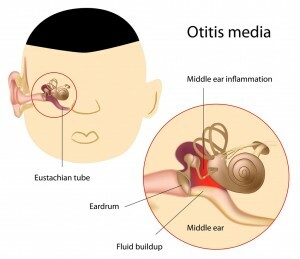 Chronic Otitis Media (COM): Chronic otitis media (COM) is a broad term used to describe damage to the middle ear resulting from long-term infection and inflammation. 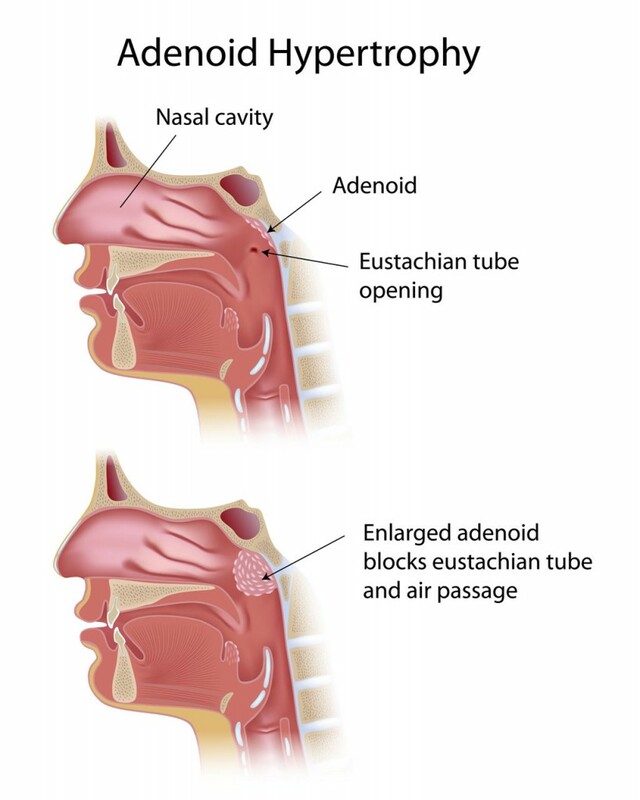 The eustachian tube can become blocked by swelling in the nose and throat (often due to a cold or flu), swelling of the middle ear mucous membrane, or swelling of the mucous membrane of the eustachian tube itself. 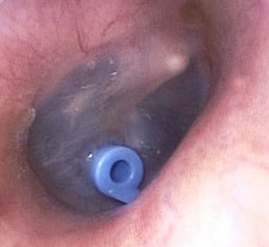 The blocked eustachian tube prevents the air pressure in the middle ear from equalizing. A negative pressure is created, and this can draw fluid into the air-filled space of the middle ear. Fluid trapped in the middle ear can lead to thicker mucous, the presence of bacteria, inflammation, and infection. Children are much more likely to develop ear infections for several reasons. The eustachian tubes in young children are shorter and more horizontal than they are in older children and adults. This allows bacteria and viruses to reach the middle ear more easily. The tubes are also narrower in young children, which makes blockages more common. Often young children have large adenoids. 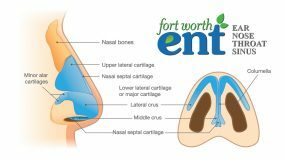 These tissue collections are located near the eustachian tubes and can cause blockages when they are swollen or infected. Other factors can also increase the likelihood and frequency of Acute Otitis Media (AOM) in children. Otoscope: An otoscope is an instrument that allows the doctor to look into your child’s ear. The doctor will be able to see redness, swelling, blood, pus, air bubbles, fluid in the middle ear, or a perforation in the eardrum. Tympanometry: A tympanometry test is done by using a small instrument to measure the air pressure in the child’s ear to determine if the eardrum is ruptured. Reflectometry: A reflectometry test helps the doctor determine if there is fluid in the ear. A small instrument is used to make a sound and the doctor listens to the sound reflected back from the ear. Hearing Test: An audiogram may be performed to see if the child is experiencing hearing loss. Sometimes, acute ear infections resolve without medical treatment. Home care methods such as placing a warm, moist cloth over the infected ear and using over the counter eardrops and pain relievers can help. Often, however, medication is needed. Your child’s doctor will likely prescribe antibiotics, which are extremely effective in fighting ear infections. Typically these mediations are taken for 7-10 days along with Ibuprofen or Tylenol for pain. If the ear infection does not respond to antibiotics or if more episodes of acute otitis media occur, surgery may be recommended. Your child’s doctor may recommend removing the adenoids if they are enlarged or infected. Your child’s doctor may also suggest myringotomy and ear tubes, which are tiny tubes surgically inserted into the ear to allow for better airflow and function of the eustachian tubes. In general, chronic otitis media develops over a long period of time in children with persistent ear problems. In rare cases however, it can develop over a short period of time with no previous history of ear infections. Diagnosis of COM typically involves an extensive evaluation by a pediatric ear nose and throat specialist or otolaryngologist. The doctor will take a history and examine the ears, nose, and throat. Additional tests may be ordered depending on the symptoms, severity of the disease, and findings. 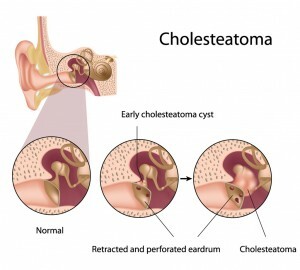 Common tests include tympanometry to determine if the eardrum has ruptured, audiogram if hearing loss is suspected, and imaging test such as computed tomography (CT) scans and magnetic resonance imaging (MRI) to look for mastoiditis or cholesteatoma. Treatment for chronic otitis media depends on the stage of the disease and the type of the damage that has occurred. Initially, efforts are made to control the cause of the eustachian tube blockage. Chronic fluid in the ear is typically treated with antibiotics. 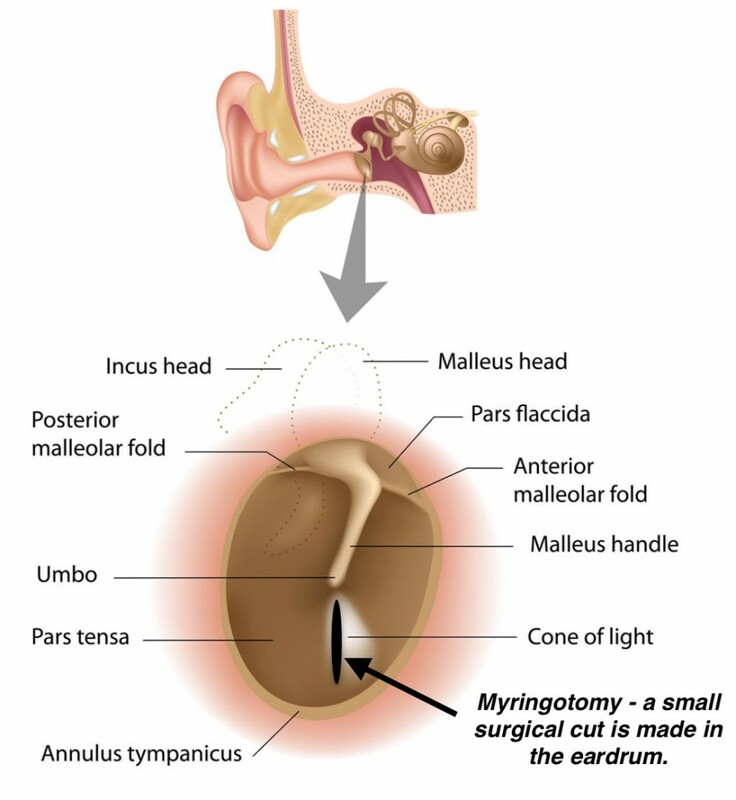 Often, ear tubes are surgically (myringotomy) placed to allow for normal airflow until the child grows and the eustachian tubes can function properly. 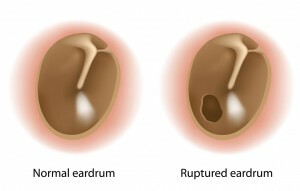 Tympanoplasty: a surgical procedure to reconstruct the eardrum (tympanic membrane) when a tympanic perforation does not heal. It is also preformed to reconstruct the ossicles when damage has occurred. Mastoidectomy: a procedure performed to remove the diseased mastoid air cells as treatment for mastoiditis or cholesteatoma. Tympanomastoidetomy: a procedure performed to clear a chronic infection of the middle ear space and mastoid space and repair the tympanic membrane. This surgery is also performed to remove cholesteatoma. Each case is different and may require a different combination of procedures and techniques. 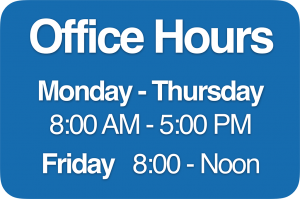 Children are typically discharged from the hospital the same day or the day after surgery. Healing can take several months, and regular follow-up visits are essential to monitor progress. As with all surgeries, there are risks, but 90% of cases to repair the eardrum are successful. Occasionally, multiple surgeries are needed.